HR | RECRUITMENT | Synconics Technologies Pvt. Ltd.
department and also retain the best talent. Set up your job board, promote your job listings and easily keep track of submitted applications. 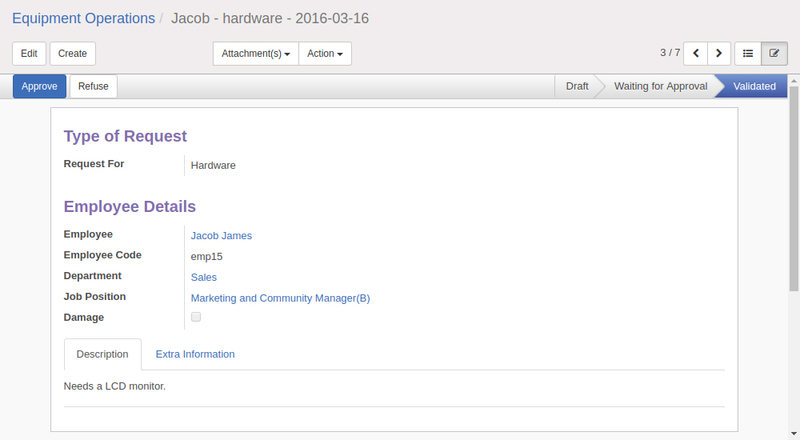 Follow every applicant and build a database of skills and profiles with indexed documents. No need to outsource your recruitment, handle everything internally in a simple and professional way. Job offers: Post job offers on your website and follow the application process within the Kanban view. Employment websites: Link job offers from different employment websites to your module and keep an eye on all your offers. Backend: Manage everything from application emails to automatic answers right from the app. Candidacies: Keep track of all your applicants. Automatic indexation: Create a repository with all your applicants’ resumes, well organized and instantly accessible. Whether applicants contact you by email or using an online form, get all the data automatically indexed (resume, forwarding letter, etc.) and answered in just a click, using templates or personalized emails. Use the kanban view and customize the steps of your recruitments process: pre-qualification, first interview, second interview, negotiation etc. Get accurate statistics on your recruitment pipeline. 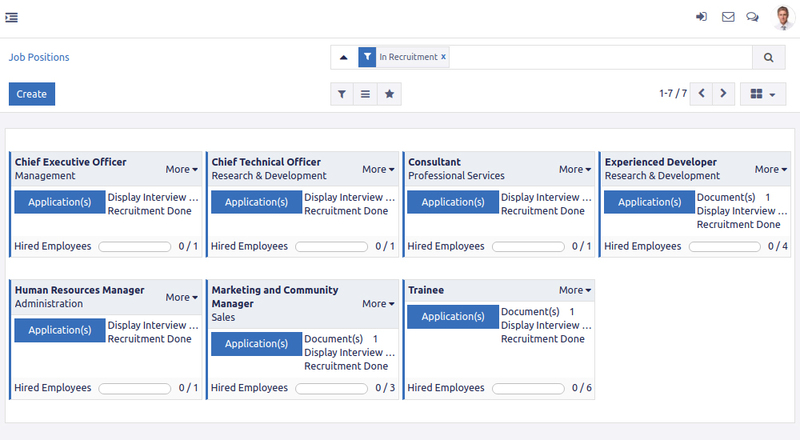 Follow applicants in your recruitment process with the smart kanban view. 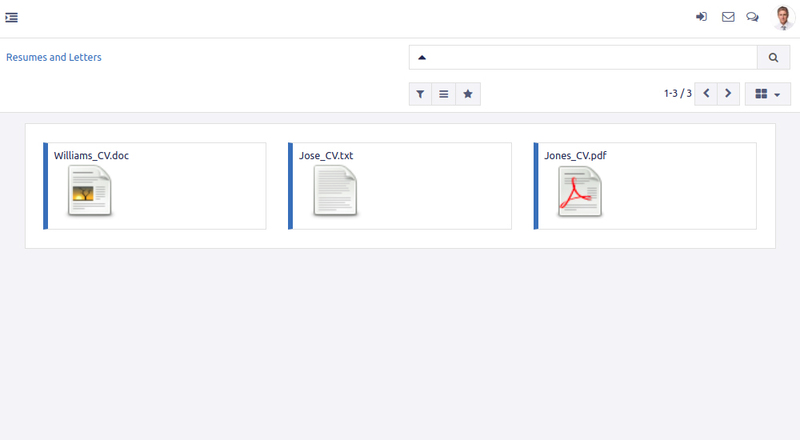 Save time by using templates to automate some communication. Documents like CVs and motivation letters are indexed automatically, allowing you to easily search for specific skills and build up a database of profiles. Once employees are registered with an organization, they will need to use resources during the course of their job. Allotment of company resources like laptop, mouse and keyboard, Pen and other stationary can be documented online through Odoo. Similarly return of company resources can be monitored which will plug wastage and misplacement of resources. Request for requisitions can be made and monitored on the ERP platform.